Vernonia (Centrapalus pauciflorus) is a potential novel industrial crop due to high demand to its natural epoxidised oil, which can be used for the manufacturing of polyvinyl chloride, adhesives, petrochemicals, cosmetic and pharmaceutical products. 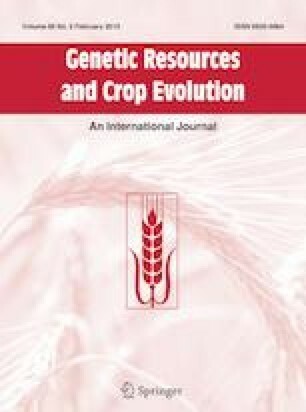 The study was conducted by focusing on cultivation, utilization, morphological description and distribution in order to provide a clue for germplasm conservation and further research using 80-accessions of C. pauciflorus that grown in alpha-lattice design with two replications at Melka Werer and Wondo Genet Agricultural Research Centers. The seed yield and yield components of accessions grown at Wondo Genet Agricultural Research Center exhibited higher than those grown at Melka Werer Agricultural Research Center due to prolonged vegetative and reproductive growth. Seed yield per hectare was positively associated (P ≤ 0. 05) with a number of heads per plant (r = 0.72), number of seeds per head (r = 0.50) and seed yield per plant (r = 0.47). The path coefficient analysis also showed that the number of heads per plant exhibited the highest positive direct effect on seed yield per hectare. These genetic variabilities reveal that the existence of variations in the material used, and have a good chance of improvement through selection. Since cultivation and commercialization of C. pauciflorus are limited by factors such as non-uniform maturity, seed shattering, plant height, not adapted to mechanized harvesting, seed threshing, and modern molecular tools should be applied for genetic improvement of the crop, in traits such as plant height, uniform maturity and seed retention. The authors wish to thank Melka Werer Agricultural Research Center and Wondo Genet Agricultural Research Center for the creation of good working environment during the research period and Addis Ababa University for financial support.